The new ReliaStream website is here! Get your ROKU radio app here! Order your Amazon Fire TV radio app! Get your Mobile Radio apps here! This is a GREAT radio player! As Low As $1 mo. As Low As $2 mo. As Low As $3 mo. As Low As $4 mo. As Low As $5 mo. As Low As $6 mo. As Low As $8 mo. As Low As $10 mo. As Low As $12 mo. As Low As $16 mo. As Low As $20 mo. New Relia Web Site Is Here! Resellers, Power Packs, & Dedicated! Centova Cast is the leading management solution for Internet radio streams, providing extensive insight and control to online broadcasters. Whether you're a radio newbie or a seasoned streaming professional, Centova Cast makes it easy to configure your stream. In addition to providing total control over your streaming server, Centova Cast also provides you with a free autoDJ system. You can stream live with your pc, use Centova Cast autoDJ, or both! Upload your MP3 media files directly to the server via FTP and schedule their media using Centova Cast's advanced playlist scheduling system. 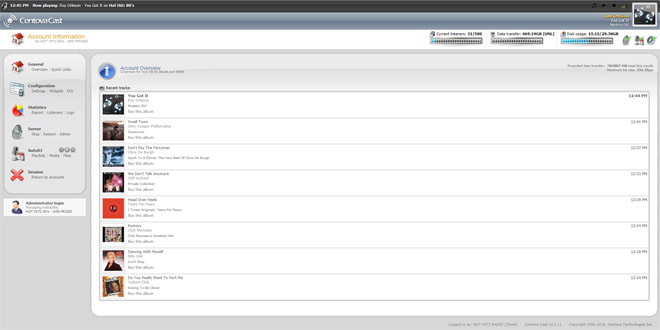 Centova Cast's media library offers a familiar, desktop-style drag and drop media management interface. Centova Cast supports multiple playlists for each stream, which can be scheduled to play media at certain times or according to specific criteria. Centova Cast provides widgets that station owners can embed in their own web pages, or may use through the Stream Start Page. Centova Cast offers the most comprehensive radio station statistics commercially available today. Getting your station on radio listing web sites is not enough!! If you thought just getting listed on some radio listing web site was the key to your stations success.. YOUR WRONG! If you want your station to succeed then you need to stay up to date and go where the listeners are going. More and more people are turning to Roku, Amazon Fire TV, Alexa, and other mobile devices when listening to their favorite radio stations. One of our Roku streaming clients said the results was outstanding. They had over 10,000 app downloads in the first 30 days. So we say apps, apps, & more apps! There's only 27 million people using Roku.. Are you streaming on Roku? Our new Amazon Fire TV app gives your station access to 30 million users. A quarter of US households own a smart speaker like Alexa. 90% of them listen to music. One of our best features is we give our members the ability to grow and expand their radio station beyond our regular streaming plans. If you find your station is growing at a rapid pace, you want to add more stations, or your station is reaching 5000+ listeners then it's time to upgrade. If you are looking to start your own streaming company or you need a dedicated streaming server we have what you are looking for! Flexibility is key in this industry..
Reseller servers are unbranded. They feature 4 or 8 core Xeon cpu's and premium bandwidth. Maybe you do not like to share.. Then a streaming dedicated server is for you! Our 80's station has performed above and beyond our expectations. Your streaming servers are rock solid! You guys suggested getting on tv apps and we thought the price was bit much but we did it. Are we glad we took that step. As of 03.20.2019 we have had 16,195 Roku app downloads. Nothing but love for ReliaStream. Great services, reliable streams, great prices, and amazing customer service. The folks at Reliastream are the best, always willing to help out, and as a totally blind user, and some parts of Centova not being very easy to use with a screen reader, often they have gone above and beyond what would be included in typical support cases, but they have been willing to do whatever it takes to help me solve any problem I may have. I am 100% satisfied and whole heartedly recommend Reliastream to anyone looking for stream hosting or anything else related to online radio. These guys are true pros. I met ReliaStream and now I am a member of their family. Believe me, I searched a lot before picking my provider, and without a doubt I know I chose the best company on the market. When it comes to prices, support, and service they are fantastic! ReliaStream is well known across the web and we have done very little advertising. Our clients speak for us and word of mouth is key in this industry. 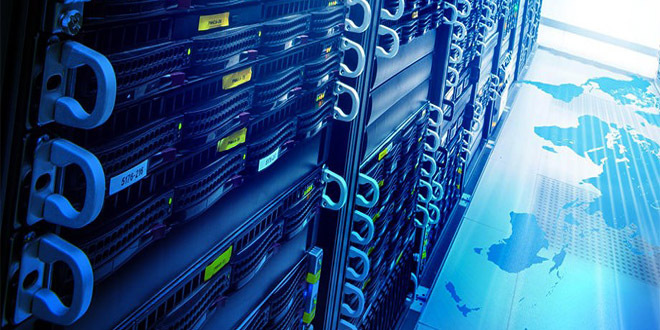 We cater small broadcasters all the way up to major market broadcasters who require their own dedicated servers and custom needs. We're passionate about streaming radio! We LOVE broadcasting! Your ReliaStream team members are current (or former) broadcasters on FM/AM radio. Some team members are former music directors, program directors, as well as on air dj's. ReliaStream has been around long enough to know what data centers offer the absolute best when it comes to servers, bandwidth, and uptime. All very important features when it comes to streaming radio. Getting your station listed on SHOUTcast or IceCast is simply not enough these days. It's obsolete at best. Apps is where it's at now. One of our clients reported over 10,000 Roku app downloads in 30 days! 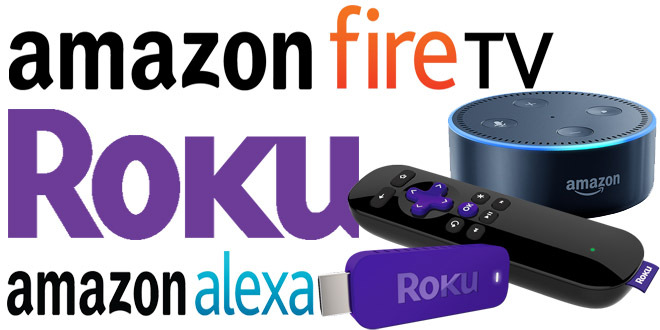 If you want success then you want your station on Roku, Alexa, Fire TV, and mobile. We made it easy to set up your very own app(s).